You’ve budgeted hard, given up loads of smashed avocado brekkies, saved your deposit and are ready to buy your first home. High five! There’s nothing quite like finally getting a foothold on the property ladder and moving into your very own pad, but it does require planning and research. With our help, you’ll soon be doing a victory dance and posting that exciting Facebook post of you in front of a shiny ‘SOLD’ sign. Here are our quick tips for buying your first home. Your home ownership journey begins with a chat with your mortgage broker! There’s no point wasting your life inspecting properties that are outside your price range. We’ll help you determine your borrowing capacity, set your buying budget and explain about applying for the First Home Owner Grant and making the most of any other exemptions and savings you may be able to obtain to help you get started. The amount you can borrow will depend on the size of your deposit, your savings history, income, expenses and credit history. It’s a good idea to save 20 per cent of the purchase price, plus the other costs associated with buying property like stamp duty, legal fees and building and pest inspections. You may still be able to buy now even if you don’t have a 20% deposit, so talk to us about your plans. If you don’t have a 20% deposit, you may still be able to get a home loan, but you will have to pay Lender’s Mortgage Insurance (LMI) which protects the lender against any shortfall if you default on your loan and it has to be sold to repay your debt. Sometimes it’s worth paying LMI if it means you can get on the property ladder sooner, so talk to us and we’ll help you decide if its best to buy now or wait until you’ve saved more. In most cases, it’s a good thing is to jump aboard the real estate train pronto! The sooner you stop wasting money on rent and start making capital gains on your property, the better. But getting into the market sooner rather than later might mean compromising. You might not be able to afford your dream home immediately, but the property you buy may be a stepping stone to greater things. If your desired location is too costly, you may have to consider buying in another suburb, purchasing an apartment or a more modest home, or finding a “renovator’s dream”. Remember, from little things big things grow and you can always trade up in future. Once you know your price range, you can use it to find prospective properties to inspect and identify areas that you can afford. Location is key, but you also have to factor in affordability. Research the areas and properties you are interested in very thoroughly. Consider the capital growth potential, rental yields and proximity to schools, transport and other amenities – this can be confusing, so if you need help just ask us. When you find a home you like, research it by arranging building and pest inspections to ensure the property is structurally sound and free of unwanted guests. If the property is going to auction, you will need to do this beforehand. Buying your first home is exciting, but it’s important to seek professional advice. As your mortgage and finance specialist, our services are free and we’re happy to help you in any way we can, even if you’re not quite ready to buy right now. We’ll help you with your budget and deposit saving plan, guide you through the buying process, ensure your financial goals are taken into consideration, and provide ongoing support in the future. Save yourself time, money and stress by getting in touch with us today! Whether you’re a seasoned investor looking for a new opportunity, or you’re after other ways to get your foot on the property ladder, a commercial property investment may be worth considering. In this article, we explore the reasons why people venture into commercial property investing, and some of the areas to be aware of. And if you do decide to go down the commercial route, we can hook you up with an investment loan that suits your situation and objectives! “Commercial property” tends to conjure up images of dusty industrial warehouses, but it’s a general term that covers all kinds of property that isn’t residential, or is used for some kind of business purpose. That includes everything from offices and retail outlets, to industrial sites and doctor’s surgeries. It can even include car parks! If your focus is on generating income from rents, investing in commercial property may be the way to go. Commercial properties typically return a much higher rental yield than residential properties – usually upwards of 7% return. In comparison, the average residential rental yield across Australia’s capital cities fell to 3.2% in February 2017. (Rental yield percentages are calculated on the amount of rent compared to the cost of the property). Additionally, the costs of owning and managing a commercial property are usually lower, because most of these costs are covered by the tenant. Commercial property investment often provides the opportunity to capitalise on growth areas, both in terms of location and the business economy. For example, a recent report by Deloitte identified that our future business economy is likely to expand rapidly in the areas of communications technology, hospitals and a wide variety of other health industries, food processing, private schooling and education. Hospitality and tourism are other areas that traditionally enjoy steady growth. While commercial property often provides more attractive rental yields than residential property, the capital growth potential is often not as strong because the land value of commercial premises is usually not as high. This is not always the case, so if you do your research carefully, you may be able to locate a commercial property investment in a growth location. Often it’s the popular shopping and holiday destinations that provide good capital growth potential for commercial property purchases, but these locations can be expensive and difficult to secure, so do your homework. Goods and services tax (GST) applies when you buy a commercial property, so you need to factor in an extra 10% of the purchase price when you buy. Often investors have to pay more stamp duty for commercial properties than residential properties, too. Properties used in the running of a business are also subject to capital gains tax when you sell. Additionally, some lenders require a higher deposit for a commercial property investment – 30% instead of the usual 20% recommended for a residential property purchase. But this requirement differs from lender to lender and often depends on the value of the property you want to purchase. To find out more about how much deposit you may require, call us for a chat and we’ll be happy to help you crunch the numbers. If you decide to invest in commercial property, it’s important to have professional advice from your mortgage and finance broker and check with your accountant about the tax implications before you begin. We’re here to help you structure your loan the right way and do all the legwork to help you obtain finance to suit your current financial circumstances and future goals. There’s so much more to know and understand if you’re interested in buying a commercial property, so please get in touch today! What does the 2017 budget mean to you? A $37.3 billion increase in spending for childcare over four years, has been outlaid in this years budget. This will provide more affordable childcare, including after school care, for around one million families. Working parents earning $185, 710 or less will not face an annual cap under the Child Care Subsidy. A $10,000 cap will apply for families earning more than this. Education: University fees will rise by 1.8 per cent next year, and 7.5 per cent by 2022, increasing the share of fees paid by students from the current level of 40 percent to 41.8% – which could be up to $3,600 for a four-year university degree. HELP: The income threshold for repayments to higher education loans (HELP) has been lowered to $42,000, meaning students will have to start repaying loans sooner. $428 million in funding has been announced for ‘Universal Access’ to support all Australian children to gain access to 15 hours per week of preschool programs, regardless of the setting (this may include day-care facilities) under the National Partnership Agreement. An additional $18.6 billion has been allocated to schools over the next ten years under a new needs-based model. 20% of government schools, and 80% of non-government schools will share an increase in funding. On average per-student funding will be increased by 4.1%. A proposed $375.3 million in funding for the new National Housing and Homelessness Agreement (NHHA) will help to provide more affordable housing for the most vulnerable. This funding, which will be matched by State and Territory Governments, will support homelessness support services. First time buyers will be able to make voluntary contributions to their superannuation up to $30, 000 to pay for a deposit on a first house or apartment. Similar to a salary-sacrificing program, this will assist with First home owners gaining access to the housing market faster. A tax benefit for retirees who are downsizing their homes will allow them to transfer up to $300,000 (per person) into a superannuation fund. This is aimed to encourage retirees who are currently living in larger homes to free up housing stock for young families who are entering the property market. SUPPLY: Aimed to address the low housing supply in Australia, the government will divest 127 hectares of surplus Defence land less than 10 kilometres from the Melbourne CBD. This land is large enough to develop up to 6,000 new homes. The new Skilling Australians Fund will support up to 300,000 apprenticeships, traineeships and higher level skilled Australians. The Budget is investing $2.8 billion for public hospitals. An increase in the Medicare Levy to 2.5% (up from 2%) in 2019 will guarantee the funding for the National Disability Insurance Scheme. The budget has funded $65.9 million for the Medical Research Future Fund to support health research. In addition, $5.8 million will support childhood cancer research. $115 million has been directed to mental health, including research, rural support, psychological services and suicide prevention. Freeze on Medicare rebates for bulk-billed consultations has been removed. $1.2 billion will go to funding new medicines on the Pharmaceutical Benefits Scheme, making them more affordable for consumers. $8.4 billion funding has been announced for an inland rail freight project linking Melbourne and Brisbane offering transit time of less than 24 hours, which will save an estimated 10 hours on the existing route. 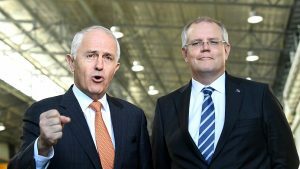 The Budget includes funding for a second airport in Sydney at Badgerys Creek, which will cost approx $5.3 billion and will likely open in 2026. Further investment of $3.6 billion for infrastructure in Western Sydney to support population growth in the region by a further $1 million by 2030. It’s been an interesting month for the housing market, with most capital cities experiencing softer growth in April than in the first three months of 2017. Hobart is leading the way as the strongest housing market, with home values increasing 5.1% over the past three months. In Melbourne and Sydney home value growth slowed in April, but the upside is that this may bring some relief on the horizon for first home buyers! The Federal Budget was released on Tuesday this week, introducing changes which may affect property prices and buying conditions. Of late, the news has also been dominated by discussions that may impact property buyers and owners – such as the housing affordability debate, negative gearing, capital gains tax discounts, interest-only lending, borrowing through Self-Managed Super Funds and proposed changes to first-home-buyer grants and stamp duty. Please call us if you have any concerns or questions about how any of these points they may affect you, we’re here to help! This month, the Reserve Bank of Australia (RBA) decided to keep the official cash rate on hold at 1.5 per cent. Meanwhile, some lenders have raised their interest rates marginally on both owner-occupier and investment loans outside of RBA movements in recent months. The Australian Prudential Regulation Authority has introduced new caps on lending for interest-only home loans, which may make them more difficult to obtain for some property investors. But there are still plenty of lenders prepared to give interest-only loans to solid borrowers. Auction activity has picked up, following the Easter lull. The last week of April saw high clearance rates of 79% in Victoria, with 1335 scheduled auctions, and 75% in New South Wales from 1007 scheduled auctions. The Northern Territory had a 100% clearance rate, but there were only four scheduled auctions. The ACT had a clearance rate of 68% for 62 scheduled auctions, while Tasmania’s clearance rate was 67% for 10 scheduled auctions. The clearance rates were lower for South Australia (65%), Western Australia (50%) and Queensland (45%). Home values only increased by 0.1% across the combined capital cities in April – the lowest month-on-month rise since December, 2015. Home value growth cooled in both Sydney (0% growth in home values for the month) and Melbourne (0.5% growth over the month). In contrast, Hobart’s home values grew 1%, while Adelaide’s increased 0.8% and Brisbane’s rose by 0.6%. Darwin’s property values rose by 0.5% in April, while Perth’s and Canberra’s fell 1% and 2.8% respectively. If you’re considering refinancing, purchasing your first home, your next home, an investment property, commercial property, or even a car at the end-of-financial-year sales, we can organise the right finance for your individual needs and financial goals. Set yourself up for a bright financial future by speaking to us about your options today!